Martin Wilk is that rare combination of craftsman, artist and great person. Unlike many "repairmen," his knowledge of brass instrument design, construction and repair includes experience in the instrument factories. 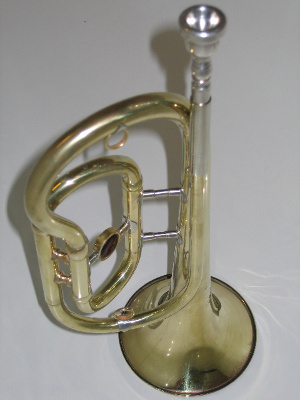 I think that this gives Martin a unique perspective on what does and does not work as far as brass instruments are concerned. His artistry is evident in the high quality and ingenuity of his work. I've never known Martin to be satisfied with "good enough." When a better tool or a superior valve design was needed, Martin designed and built them himself. His work is always clean, correct, and yes, artistic; whether he's simply refitting a loose brace or doing a complete overhaul. 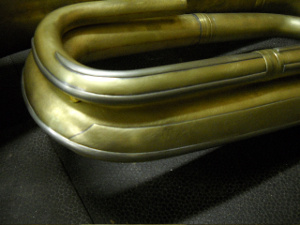 Combine all of these attributes with exceptional integrity and honesty and you have the ideal person to handle all of your brass repair and design concerns: Martin Wilk. I have been using the MAW Valves in my Meinl Weston 5450 for a couple months now and the playability of the instrument is dramatically simplified! Slurring across partials with a valve change is near seamless with these new valves. They have definitely made life on the tuba much easier. I received the valves and installed them yesterday. Wow, a huge difference. Effortless legato and a much better responding low register. 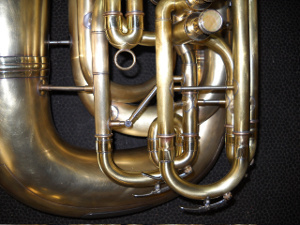 My first overall impression was the tuba seemed to resonate more with the new valves. I'm just sending you an email to tell you that I love your MAW valves. Since we last talked, I have played quite a bit of repertoire on the tuba, particularly Mahler 6 (plus on tour in Europe). There is a huge difference, enough for me to recommend to anyone that they need to purchase a set of these if they are an MW/B&S valve set. It is actually a rather inexpensive modification for the results that you get when you use these valves. Professor Perantoni was VERY pleased with the work on the F tubas and I'm sure the students will be too. Thanks for sharing your expertise with us! 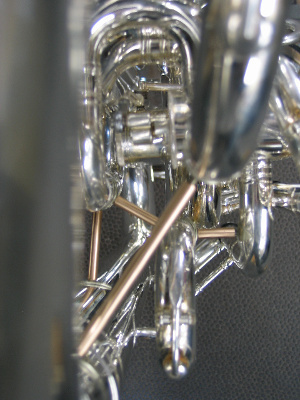 In 2010, Martin Wilk transformed my original Yorkbrunner valves into MAW valves. Notes that were woofy became the best notes on the horn. Extreme pitch problems were reduced to manageable ones. Articulation, slurring, clarity of tone and projection all improved. I have MAW replacement valves in my Nirschl now, made by Meinlschmidt - a valve-maker known for the highest quality available.